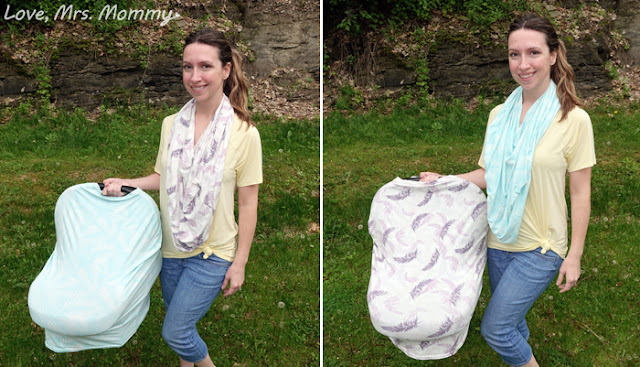 Love, Mrs. Mommy: SimpleTots 5-in-1 Baby Car Seat Canopy is Stylish & Affordable! SimpleTots 5-in-1 Baby Car Seat Canopy is Stylish & Affordable! 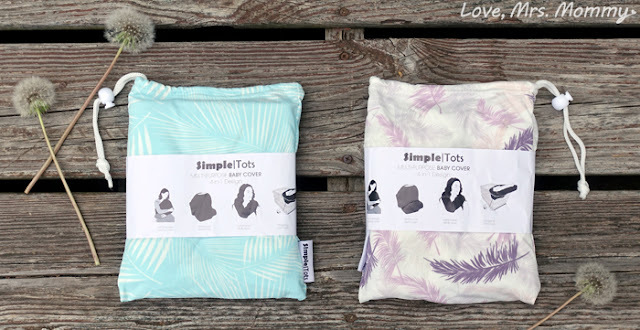 I received these SimpleTots products at no cost to facilitate this review. All opinions are my own. Traveling with a newborn can be somewhat of a challenge. All the necessities that you need to bring with you when you leave the house can seem like a burden. That’s why I am excited to partner with SimpleTots, who will make your daily outings with baby a lot easier! 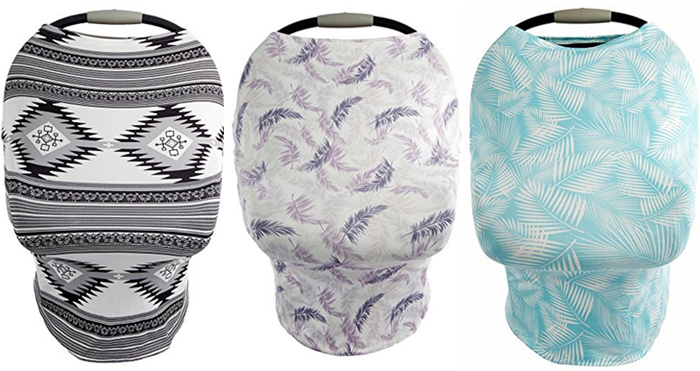 Each cover can be used as a canopy, breastfeeding cover, stroller sunshade, nursing scarf and even a shopping cart cover. Instead of bringing 5 different products with you when you go out, all you need is this ONE! As my hubby always says… travel light!.. and it definitely does make things easier. There’s less to carry, keep track of, and find when you need it. The first thing I noticed about the cover was how incredibly soft it was. Your baby and you would be oh-so-cozy snuggled up for a feeding and/or protection from the sun and its harmful UV rays. SimpleTots used a blend of rayon, polyester and spandex to give it a soft, jersey-like feel. Plus, thanks to the stretchy material, it certainly makes sliding it over your baby’s car seat a breeze! Whether you go out to a store to run errands or want to take your little one to a restaurant, this cover will have you covered (haha!). It’s perfect for keeping unwanted germs away from your precious little one and it also makes for a softer and warmer seat. Just think how cold those metal shopping carts are in the summer with the air-conditioning on in the stores. Now, those adorable little fingers will be clean and warm. If you want to take a walk, this doubles as a sunshade over your baby’s stroller and/or car seat depending on how old your child is. Plus, if when you are out and the sun goes down, or you realize you don’t need it anymore, just pack it away in its oh-so-handy matching travel bag! How cute! That way you can keep it clean and store it away till the next time you need it. It’s pretty amazing that you can get 5 different uses out of this one product! I know I wish I had this when my daughter was a baby. It would have really helped me out! I carried around wayyyy to much stuff with me when I left the house, eek! Plus, for all this, it’s incredibly affordable! All of the designs are priced between $18.95-$19.95 and I have a great coupon code to save you even more! Exclusive Love, Mrs. Mommy coupon code for 25% off your purchase on Amazon! 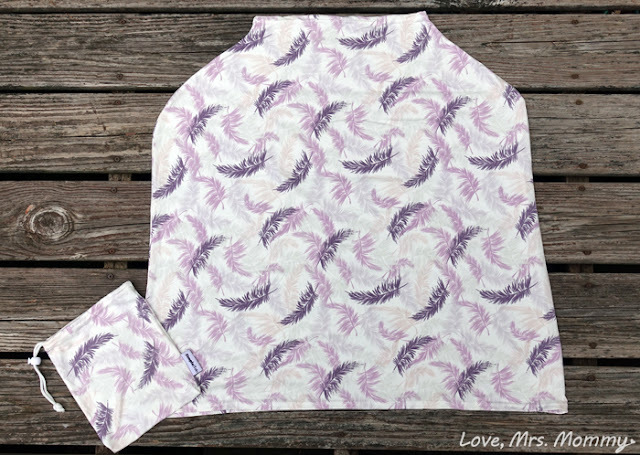 Just use LOVEMM25 at checkout when purchasing either the Feather and/or Palm Leaves design. Enjoy! Connect: You can find out more about SimpleTots by visiting their website and be sure to like them on Facebook. Buy It: You can purchase the SimpleTots covers featured in this review on Amazon! Don’t forget to use the coupon code. 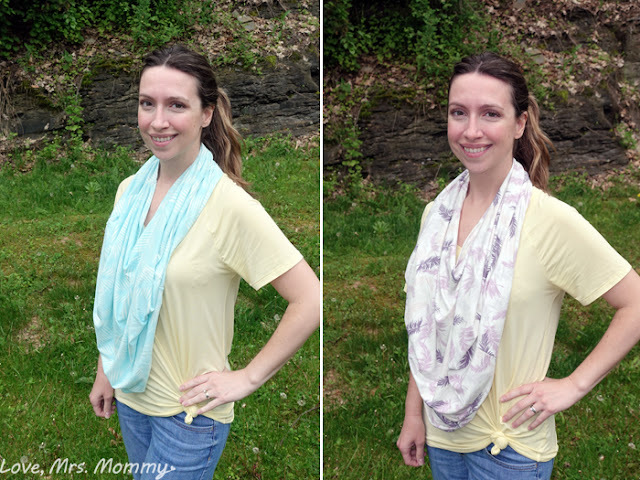 Omgosh I am LOVING the adorable prints!! The versatility is seriously amazing!! Talk about a must need mommy item! These are fantastic. I wish they had made things like this when my son was a baby, but they are great for my grandbaby. These are so adorable. Can't wait to try them. These are too cute! I would love to try these out. THERE CUTE LOVE THE COLOR'S. I love the prints and really like it as a shopping cart seat cover, it is not very bulky like most are. These came out right after I had purchased a couple of "regular" car seat canopies... I'm definitely getting one for the next child! I love that it comes in a matching travel bag - I agree with you, I constantly seem to have too much stuff to carry around! OMG! These are too cute! Thanks for the review and for sharing!